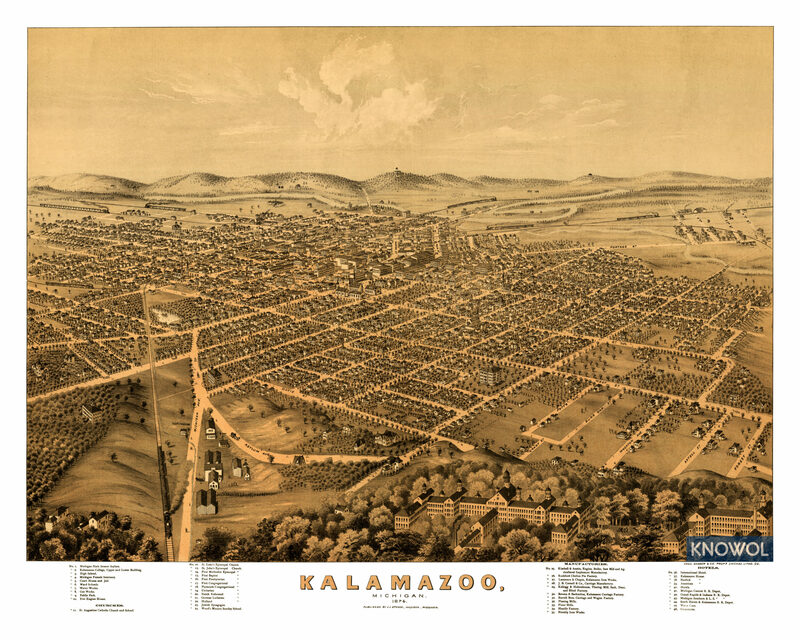 Some of the featured landmarks include Michigan State Insane Asylum, Kalamazoo College, Michigan Female Seminary, Ward Schools, Rockford Clothes Pin Factory, Fire Engine House, Kalamazoo Iron Works, Planing Mills, Flour Mills, Cornell Carriage Manufactory, Novelty Iron Works, International Hotel, Kalamazoo House, and more. The map is interactive, which means you can zoom in and get a high definition view of it. The map is also available for purchase. You can view the map here.